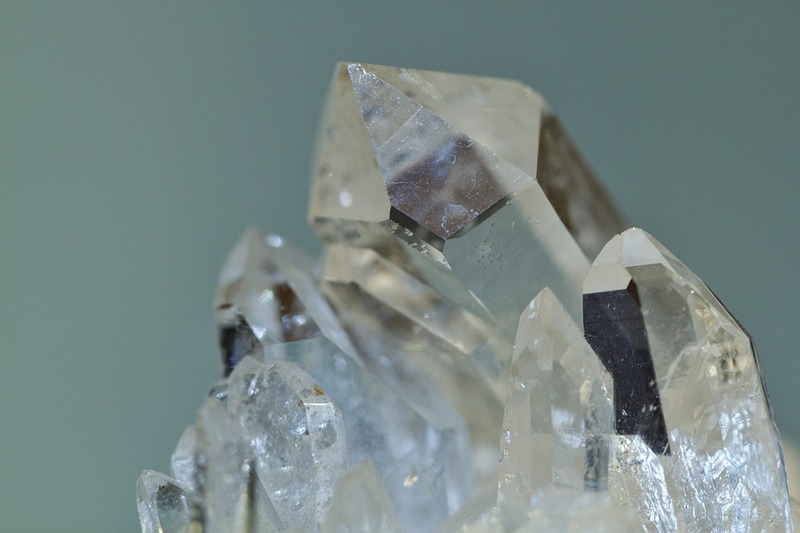 Crystals & Stones A – M - Sagittarian Sun, Inc.
Before crystals and stones are employed for metaphysical use, they must first be cleansed of the energies that they’ve absorbed. Seven days and nights in dry sea salt is the most economical, trust-worthy and practical method to cleanse stones and crystals. Generally, stones and crystals will work well with the energy of all zodiac signs, but, it’s been observed that they respond to the energy of some zodiac signs more powerfully than others. Included are suggestions which may help you choose the crystals and stones for your zodiac sign. Choose the crystals and stones for your zodiac sign. Amethyst is a powerfully mystical stone which has long been used to increase one’s psychic abilities, create inner peace, and open portals to heightened spirituality and mystical awareness. It aligns itself well with those who have their Sun, Moon, or Rising Sign in Aquarius, Sagittarius, Pisces, Virgo, Aries, or Capricorn. Golden Topaz has the ability to enhance and/or strengthen one’s self-confidence, creativity, mental outlook, and draw abundance. It will diminish and/or lessen one’s procrastination, stagnation, and feeling of general melancholy. Golden Topaz aligns well with those who have their Sun, Moon or Rising Sign in Taurus, Scorpio, or Gemini. Moss Agate is a grounding, protection, prosperity, longevity, scrying, and intuitive growth stone. It is also known for aiding fertility, the circulatory system, and balancing the right and left sides of the brain, which is believed to ease depression. Moss Agate aligns well with those who have their Sun, Moon, or Rising Sign in Virgo, Libra, Taurus, Scorpio, or Gemini. Bloodstone is considered the stone of Good Fortune! It is believed to align one’s Chakras, and remove energy blockages. Bloodstone works exceptionally well for those who have their Sun, Moon or Rising Sign in Capricorn, Pisces, or Aries. Banded Agate is known for stabilizing one’s Aura, balancing one’s energy field, and imparting strength and courage. The Banded Agate aligns exceptionally well with those who have their Sun, Moon or Rising Sign in Gemini, Taurus, or Libra. Black Onyx is the ultimate protection and business stone! When carried on one’s person, it has the ability to center, ground and balance one’s energy field. It will aid one to gain or regain self-control, open intuitively, focus, and rid one’s self of grief and/or old habits. The Black Onyx will also draw good fortune to anyone who carries it. Those with their Sun, Moon or Rising Sign in Capricorn will benefit from the mystical powers of the Black Onyx. Green Aventurine aligns mental, physical, emotional and auric bodies. This stone is also believed to balance male/female energies. Green Aventurine works well with those who have their Sun, Moon or Rising Sign in Taurus or Aries. Aventurine is the Gambler’s Stone! One is believed to realize his/her full potential when this stone is carried. Aventurine is also believed to draw creativity, inspiration, wealth, success and prosperity to those that carry it. Aventurine will respond well to all zodiac signs, but those who have their Sun, Moon or Rising Sign in Taurus, Gemini, Leo or Aries will especially feel the power of the Midas touch! Moonstone vibrates with the Moon’s energy! New beginnings, hopes, wishes and the realization of one’s destiny are attributed to the powerful assisting energy which emanates from the Moonstone. This stone has proven to be a wonderful Talisman for Good Fortune and Celestial Communication. 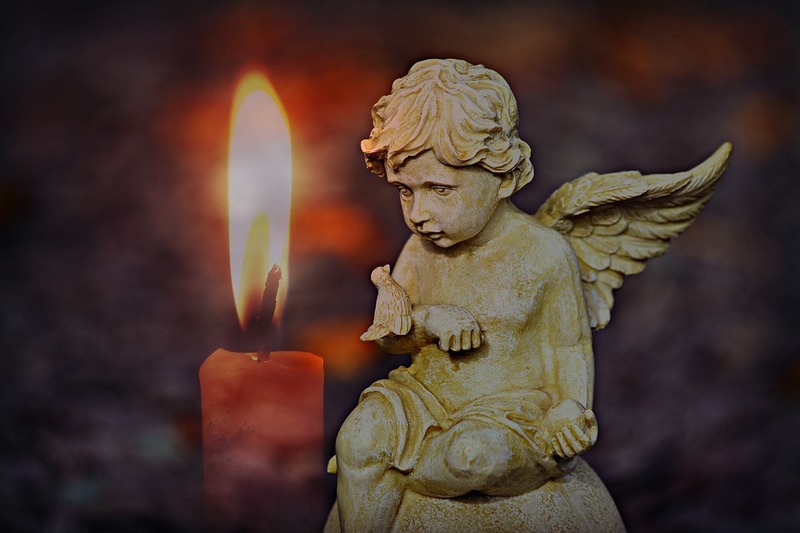 Those with their Sun, Moon or Rising Sign in Cancer, Libra, Scorpio, Pisces, Sagittarius, Taurus, and Virgo are believed to benefit most from its mystical powers. Apache Tears is the stone which is said to provide physical and spiritual protection. It will also break down any barriers which prevent the analytical mind from thinking clearly. Those with their Sun, Moon or Rising Sign in Gemini, Aquarius, Libra, Capricorn, or Taurus will feel the greatest benefit when this stone is carried or worn. Aquamarine is said to calm the nerves, clarify perception, increase intuitive abilities, and aid with verbal expression. When this stone is carried it is believed to strengthen the liver, spleen, kidneys and Thyroid Gland. Those who have their Sun, Moon or Rising Sign in Gemini, Taurus, Pisces, Libra, Scorpio, Aquarius, or Sagittarius are said to benefit most from its influence. Blue Agate allows one to take a respite from all forms of conflict. Blue Agate is very useful for elevating one’s mood to allow happiness, tranquility, and miracles to come into one’s life. This stone works well for those who have their Sun, Moon or Rising Sign in Pisces, Cancer, Gemini, and Capricorn. Calcite is a popular stone which is used by Readers to clear their mental and emotional processes. It is also an energy amplifier and teacher. Those who have their Sun, Moon or Rising Sign in Cancer, Pisces, Sagittarius or Virgo are immediately drawn to this stone’s energy. Citrine works from many mystical energy levels, but, it’s most beneficial influence is found in business success. It has the ability to generate creativity and generosity, while influencing one’s digestion, health and memory well being. This stone can clear one’s Aura, and draw abundant prosperity. Citrine will work well with all zodiac signs, but, those who have their Sun, Moon or Rising Sign in Gemini, Virgo, Cancer, Leo, or Scorpio sense complete cooperation from this stone. Howalite is used to effectively calm scrambled communication and emotional confusion. It will aid artistic expression, facilitate awareness, and dispel selfish rage. It works exceptionally well for those who have their Sun, Moon or Rising Sign in Scorpio, Aries, Leo, Taurus, or Aquarius. Black Agate aids with creative success in all forms. It works exceptionally well with those who have their Sun, Moon or Rising Sign in Libra, Cancer, or Leo. Aqua Aura improves and clears creative thoughts. The beneficial energy gained from this stone works well with those who have their Sun, Moon or Rising Sign in Sagittarius, Libra or Taurus. Malachite clears the way for attaining one’s goals, wealth, abundance, transformation, spiritual development, and reasoning ability. Those who have their Sun, Moon or Rising Sign in Pisces, Aries, Cancer or Sagittarius will benefit from this stone. Leopard Skin Jasper is the animal friendly stone! It has been used for animal communication and healings. Those who have their Sun, Moon or Rising Sign in Taurus, Capricorn or Virgo identify with the energy from this stone. Fluorite ironically benefits teeth and bones! It has been used to fight mental illness and grounding due to psychic over-stimulation. Fluorite exudes the energy which will bring order to chaos! It can work well with those who have their Sun, Moon or Rising Sign in Cancer, Aries, Pisces, or Gemini. Lapis Lazuli radiates with a presence for knowledge, wisdom, perfection, truth, and total awareness. This exceptionally powerful stone works well with those who have their Sun, Moon or Rising Sign in Sagittarius, Pisces, Libra or Virgo. Hematite has been used to pull pain from the physical body, thereby bringing balance and well-being to the body, mind and spirit, and enhance concentration. Those with their Sun, Moon or Rising Sign in Aquarius, Gemini, or Aries will benefit most from Hematite. Green Tourmaline emanates inspiration, understanding, self-confidence, and homeostasis. This stone is at peak performance with those who have their Sun, Moon or Rising Sign in Scorpio, Capricorn, Aquarius, or Leo. Jade has long been known for its abilities to influence spirit contact, peace, harmony, fidelity, confidence, luck, prosperity, and humility. Jade is a very powerful stone that works well for those who have their Sun, Moon, or Rising Sign in Taurus, Gemini, Libra, Capricorn, Sagittarius, or Pisces. Labradorite represents the Light of the Universe. This extremely mystical stone exudes incredible energy which illuminates intuition; the subconscious portal to a higher plane. This powerful stone works well for those who have their Sun, Moon or Rising Sign in Sagittarius, Pisces, Virgo, or Aquarius. Emerald assists with memory retention and mental clarity. This mighty stone has the ability to expand both the mental and physical planes thus improving clairvoyance, while enhancing the auto-immune system. If one can handle the expense, Emerald works well with those who have their Sun, Moon or Rising Sign in Taurus, Virgo, Capricorn, Cancer, Scorpio or Libra. Blue Tiger’s Eye is extremely rare, but, it is believed to enhance, strengthen or empower everything that it is programmed to do. It will work well for those who have their Sun, Moon or Rising Sign in Capricorn, Aries, or Scorpio. Garnet enhances commitment, devotion, love, stability and order. It stimulates all of the energy Chakras, but it is best known for stimulating the 1st Chakra. The Garnet is primarily used for especially difficult or challenging situations. It attunes well with those who have their Sun, Moon or Rising Sign in Virgo, Leo, Aries, Aquarius, Capricorn or Scorpio. Black Obsidian has a history of use during American Indian Ceremonies as an aid to assist one to face buried issues, open the third eye, and/or see one’s whole life set before him. A very spiritual stone, the Black Obsidian has been known to point the bearer in a direction which will change his/her life and luck. This incredible stone is best served by someone who has his/her Sun, Moon or Rising Sign in Capricorn or Sagittarius. Jet dispels fear and protects against illness and violence. It will protect one during the pursuit of business success, and stabilize one’s finances. Jet has long been carried to ease depression, and assist with the treatment of Migraine headaches, and Epilepsy. Those that have their Sun, Moon or Rising Sign in Capricorn will benefit most from this stone. Fire Opal is an excellent scrying stone, and it will help anyone who carries it to attain lucid dreaming and astral projection. Fire Opal is an extremely powerful Metaphysical stone that works well for those who have their Sun, Moon or Rising Sign in Aquarius, Pisces, Leo, Scorpio, Aries or Sagittarius. Iolite is not a stone that one would carry daily! Its hallucinogenic effects are very similar to the herb, Peyote. Therefore, it is meant to be employed exclusively by an experienced Shaman. Bone is believed to possess extraordinary spiritual and physical protection to the bearer. Bone will work and respond well with all signs of the zodiac. Blue Topaz is said to bring on a state of euphoria and a spiritual connection with the Universe to the bearer. This stone will work well with all signs of the zodiac. Apatite is carried to enhance one’s ability for prophesy, spirit contact, and it will provide protection. Apatite will respond well to all zodiac signs..
Lepidolite facilitates honesty and fair play, astral travel, business pursuits, stability, hope, renewal, change and transition. Lepidolite works well with the energy from those who have their Sun, Moon, or Rising Sign in Libra, Cancer, Capricorn, or Scorpio. Blue Onyx is a solid, feeling and soothing stone. When it’s carried, it allows one to let go of stress, grief, negativity, and old habits. Blue Onyx protects the bearer and encourages happiness and good fortune. This stone works well for those who have their Sun, Moon or Rising Sign in Aquarius, Gemini, Pisces, Sagittarius, Taurus, Cancer or Virgo. Chrysocolla is a stone that will relieve stress. The energy and power of Chrysocolla acts like a balance scales; it will balance the mind, stimulate the analytical and intuitive abilities, business astuteness, prosperity, and luck. Chrysocolla works well for those who have their Sun, Moon, or Rising Sign in Gemini, Capricorn, Aquarius, Taurus, or Libra. Clear Quartz is described as the ultimate power stone of the mind, because it radiates all the color vibrations within the spectrum of light. This powerful ability enables it to be programmed for any use which brings light and energy into our spiritual bodies. Clear Quartz is often used to imprint with any energy or information. It brings clarity to the mind and aura. Clear Quartz will amplify energy and concentration while enhancing mental ability, healing, meditation, spiritual growth, and psychic development. Clear Quartz is one of the crystals which will work exceptionally well with the energy of all zodiac signs. Amber is a fossilized resin from Pine Trees that generates an intense energy comparable to liquid sunshine! Amber is said to enhance the beauty of the wearer. It is often used to tap into the power of the Sun, and is excellent for drawing success, abundance, healing, vitality and joy. Amber is a powerful stone for manifesting hopes, dreams, wishes and goals. It carries a negative electrical energy charge which enables it to draw power and energy into its bearer. Amber is known to open spiritual portals of body, mind and spirit. It works well for those who have their Sun, Moon or Rising Sign in Leo or Aquarius. Carnelian is a sacred stone, long revered by Tibetans and Egyptians. The energy of this stone activates the lower chakras and helps the wearer to take action by stimulating the physical body with personal power, invoking joy, laughter, and warmth as it opens the heart. This wonderful stone will aid in past-life recall, memory, finding one’s soul mate, and courage. Carnelian works exceptionally well for those who have their Sun, Moon or Rising Sign in Leo, Aries, Taurus, Cancer, Gemini, Virgo, or Pisces. Charoite is a high frequency stone which aids the wearer in walking their path of service and Dharma in this lifetime. It instills a serene sense of peace and harmony with one’s divine flow of Life and Destiny. Charoite is a stone of spiritual transformation and evolution, allowing one to understand and heal through the lessons which are brought upon us. Charoite is the stone which will allow us to open to see the good in others and recognize our connection with the Universe. Charoite works exceptionally well for those who have their Sun, Moon or Rising Sign in Sagittarius, Virgo, Scorpio, or Aquarius. African Turquoise is an evolutionary stone – it is supposed to help you to bring about necessary change in your life and open you up to what the future will hold for you. It helps you to balance your past and your future as you continue to become your true self. It is a stone of the Third Eye Chakra, opening your eyes and mind to new ideas and your true purpose. Carry it with you, and you will feel its reassurance as you explore new opportunities. African Turquoise will draw and work well with those who have their Sun, Moon or Rising Sign in Libra, Taurus, Pisces, or Aries. Black Tourmaline is also a powerful grounding stone, electrical in nature, providing a connection between Earth and the human spirit. Its supportive energy aligns the energy centers of the body and channels healing light throughout the system. Black Tourmaline works well with those who have their Sun, Moon, or Rising Sign in Cancer, Leo, Gemini, Virgo.Black Tourmaline is also a powerful grounding stone, electrical in nature, providing a connection between Earth and the human spirit. Its supportive energy aligns the energy centers of the body and channels healing light throughout the system. Black Tourmaline works well with those who have their Sun, Moon, or Rising Sign in Cancer, Leo, Gemini, Virgo.